Thank you all for working so hard, and doing such great work first semester. Semester One grades have been posted on Aeries. If you feel that there is a mistake or error on my part, please either email me or discuss this with me on Monday. 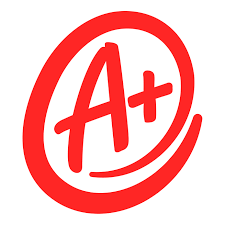 For Mobile App: The most recent things graded are the semester project Google Play Store listing, the Semester Project app itself, and the semester final exam. The semester final was scaled to 56 out of 60 points. Please see the course info packet regarding grades. Grades are not rounded up or down. For Animation Projects: The most recent things graded are the Stop Motion Animation assignment, and the semester final. The semester final was scaled to 55 out of 60 points. Please see the course info packet regarding grades. Grades are not rounded up or down. For AP Computer Science: The most recent things graded are ICT Lesson 15 ArrayList and the semester final. The semester final was scaled to 93 out of 100 points. Please see the course info packet regarding grades. Grades are not rounded up. Please recall that I scaled all five quizzes, plus the final was scaled, plus step up to writing was scaled, plus there was an extra credit project. All of these things were designed to assist students “close” to the next higher grade range.